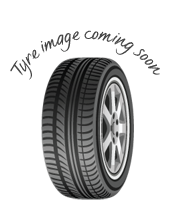 Primewell PS830 tyres offer great performance to drivers all year long. The tread pattern has been designed to disperse water and reduce the risk of aquaplaning while lowering road noise, thus ensuring you have a comfortable journey. High levels of wear resistance allow you to get the most out of every journey on PS830 tyres and you can enjoy great grip and stability on every journey. These are great value tyres not to be missed. Primewell PS830 tyres offer great performance to drivers all year long. The tread pattern has been designed to disperse water and reduce the risk of aquaplaning while lowering road noise, thus ensuring you have a comfortable journey. High levels of wear resistance allow you to get the most out of every journey on PS830 tyres and you can enjoy great grip and stability on every journey.These are great value tyres not to be missed.